Updated, Well Maintained Ranch Home! Open Concept, Fireplace, Built-ins, dine in kitchen booth is so convenient, Stainless steel appliances, charging station for electronics, Sun Room w/heated floor, attached two Car Garage, double driveway, backyard flagstone patio, shed with generator, nice yard and many updates! Full dry basement, 200 amp service, laundry chute, exercise area and a fabulous location. 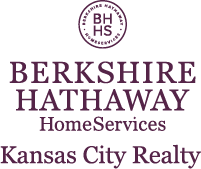 I am interested in 7311 State Line Road, Kansas City, MO 64114.